(CNN) -- A doctor who has played a key role in fighting the Ebola outbreak in Sierra Leone is infected with the disease, according to that country's Ministry of Health. 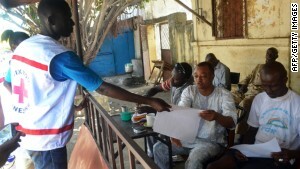 Dr. Sheik Humarr Khan is being treated by the French aid group Medecins Sans Frontieres -- also known as Doctors Without Borders -- in Kailahun, Sierra Leone, Tim Shenk, an agency spokesman, told CNN. Until falling ill, Khan had been overseeing Ebola treatment and isolation units at Kenema Government Hospital, about 185 miles east of the capital Freetown. Citing patient confidentiality, Shenk declined to provide additional details about Khan's condition. The Ministry of Health took to Facebook to deny reports the doctor had died. The ministry "wishes the general public and all partners working in the healthcare sector to know that . ... Khan is still alive and responding to treatment contrary to social media report of his demise," according to a Facebook post. 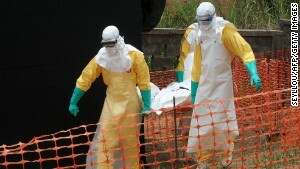 Sierra Leone has had 427 confirmed cases of Ebola and 144 deaths, according to figures released Wednesday by the health ministry. That puts it, along with Guinea, at the center of an outbreak of the virus that has steadily spread through western Africa since it began earlier this year. 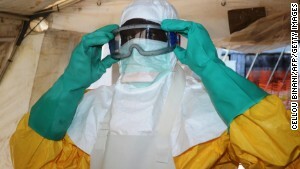 More than 1,000 people have contracted Ebola in Sierra Leone, Guinea and Liberia, according to the World Health Organization. Ebola typically kills 90% of those infected, but the death rate in this outbreak has dropped to roughly 60% thanks to early treatment. 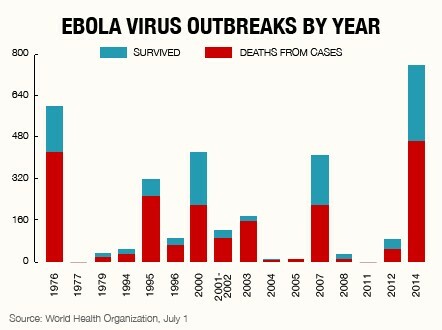 What is Ebola, and why does it kill? Officials believe that the Ebola outbreak has taken such a strong hold in West Africa due to the proximity of the jungle -- where the virus originated -- to Conakry, which has a population of 2 million. Since symptoms don't immediately appear, the virus can easily spread as people travel around the region. Once the virus takes hold, many die in an average of 10 days as the blood fails to clot and hemorrhaging occurs. The disease isn't contagious until symptoms appear. Symptoms include fever, headache and fatigue. At that point, the Ebola virus is spread via bodily fluids. 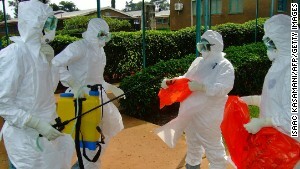 Health workers are at especially high risk, since they are in close contact with infected people and their bodily fluids. Adding to the danger, in the initial stages of infection doctors may mistake an Ebola infection for another, milder illness. Aside from his work on Ebola, Khan also serves as the lead physician of the hospital's Lassa Fever Program, another fearsome tropical disease. The hospital's official biography page states Khan took on that job when his predecessor died of Lassa Fever.